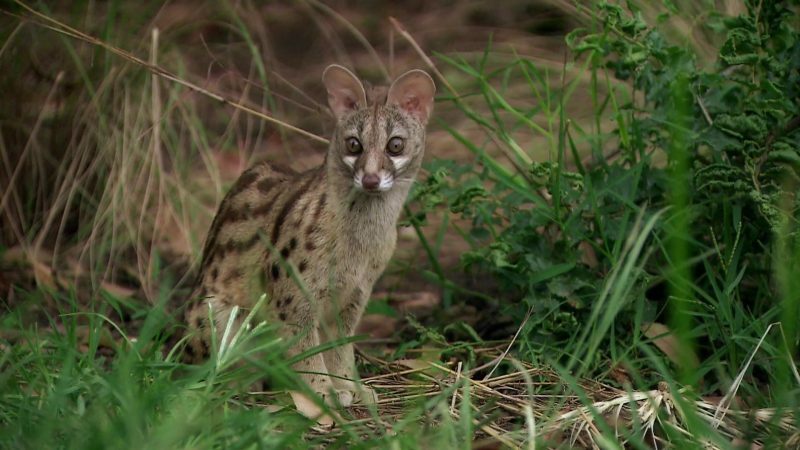 The large spotted Genet lives a solitary life. Always the nosy neighbour, Sefu spies on all the secrets and stories that unfold in the Woods. Out of the protection of the trees, Sefu heads down to the water’s edge to wash down his meal, unaware of Mansa, the resident crocodile lying in wait.